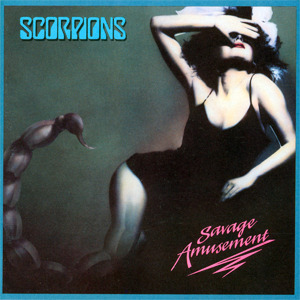 Savage Amusement is the tenth studio album by the German heavy metal band Scorpions, released in 1988. It peaked at #5 in the USA where it became platinum on June 20, 1988. The album was the follow up to the successful Love at First Sting and had some musical differences when compared to its predecessor. The overall feel of the album shows that Scorpions wanted to experiment with some different genres, going to a more radio friendly style and incorporating more synthesized sounds. While there are still some straight hard rock songs, like "Don't Stop At The Top" and "Media Overkill", there are also progressive rock songs such as "Walking On The Edge" and "Passion Rules The Game".